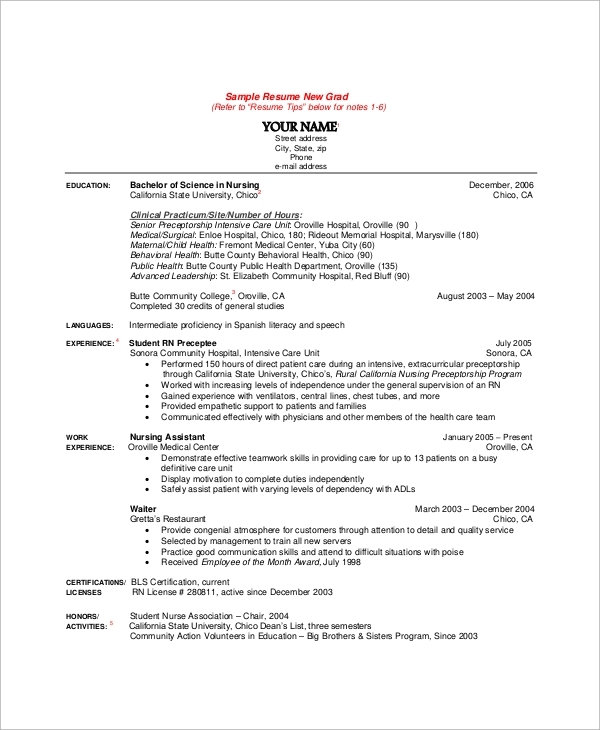 Resumes are the most important documents that pave the way to get a job easily. An interviewer gets an overall idea of a candidate by reading his or her Sample Resumes. 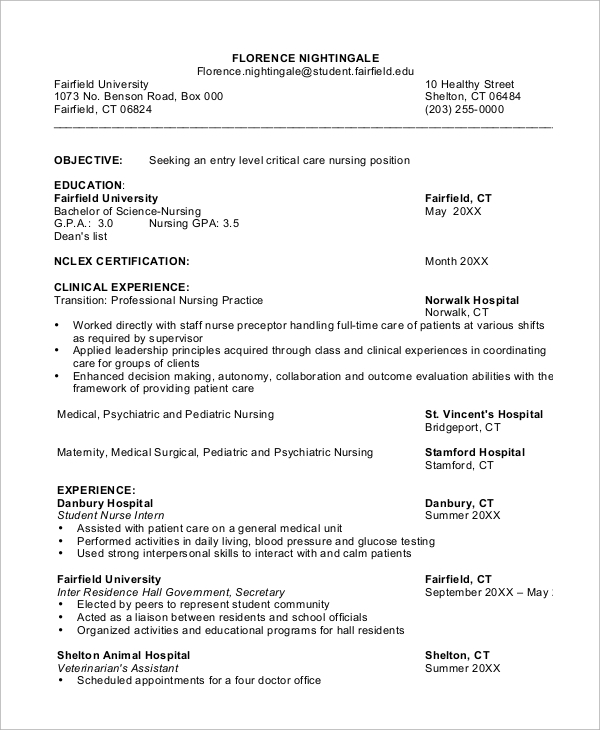 The following nursing resumes have fantastic formats and designs, and they are fully editable as they are also present in Doc file. They are very efficient for a nursing student who can edit them to create their resumes for applying in any desired job and get an edge over the other competitors. 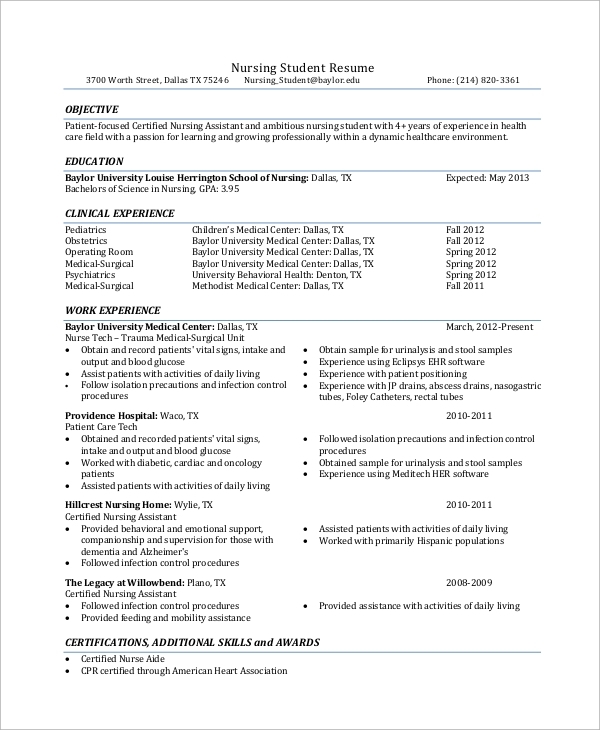 This is a perfect resume sample for a clinical nurse. It is well-formatted, and it is very easy to find the required details at once. It has provisions for education, languages, work experience, training, certifications, activities, and references. 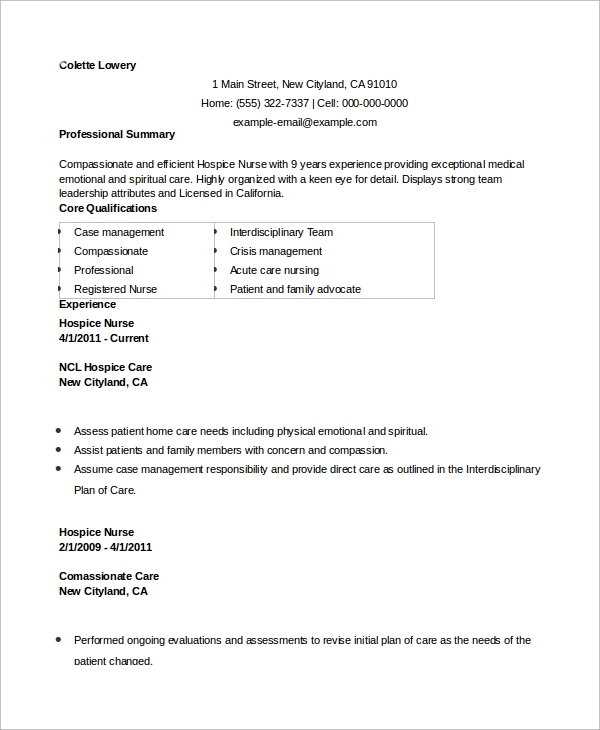 This is a perfect hospice nurse resume, and it is in Word file and hence, anyone can edit it according to their requirements. It has a sample professional summary filled with action words followed by core qualifications, skills, and experience. 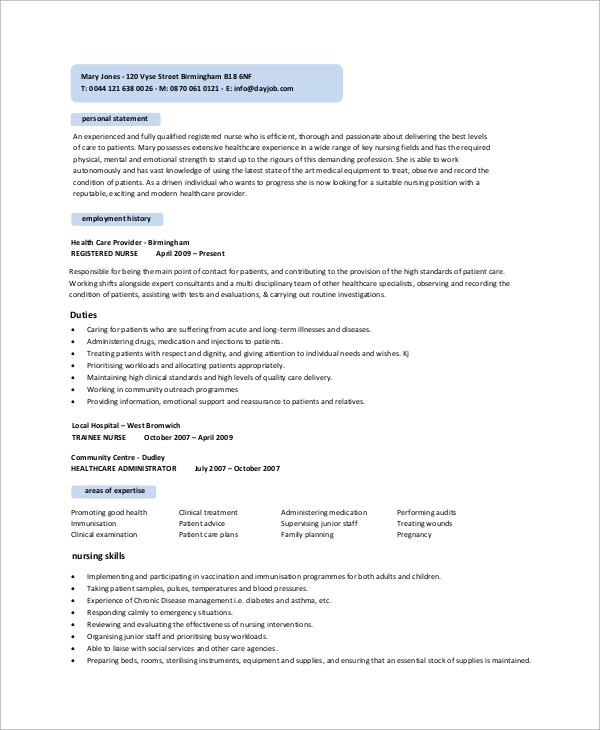 This is a complete set of Sample Nurse Resumes with cover letters and other necessary instructions for an aspiring volunteer nurse. It contains multiple formats and samples for writing creative and stunning resumes of different kinds. The sample cover letters are equally important and well-designed. 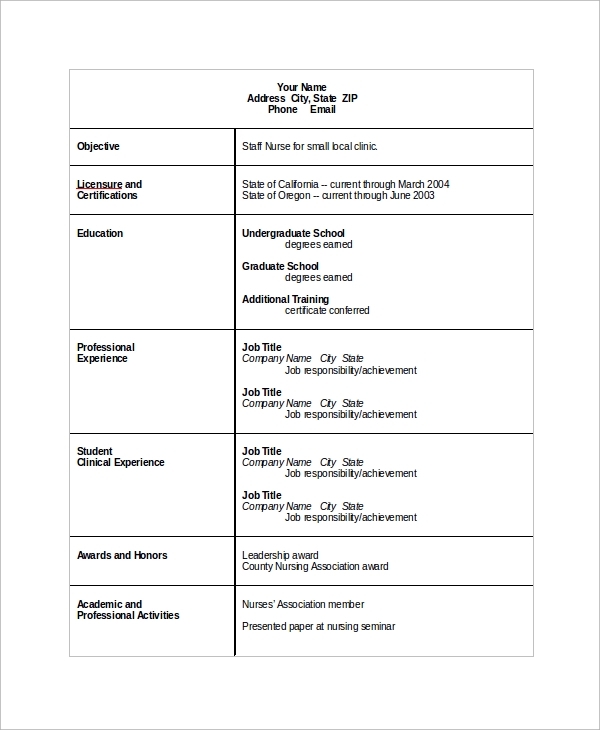 The sample resumes are for students, graduates, and professionals to use them as a reference to prepare their stunning resumes so that they can create an impressive image of themselves in the mind of the interviewers when they go through the resumes. One can also edit them to put minimum effort to prepare their resumes as per need. There are several types of resumes catering to different types of nursing jobs. There are Sample Statements that contain action words and phrases that will create the necessary impact. 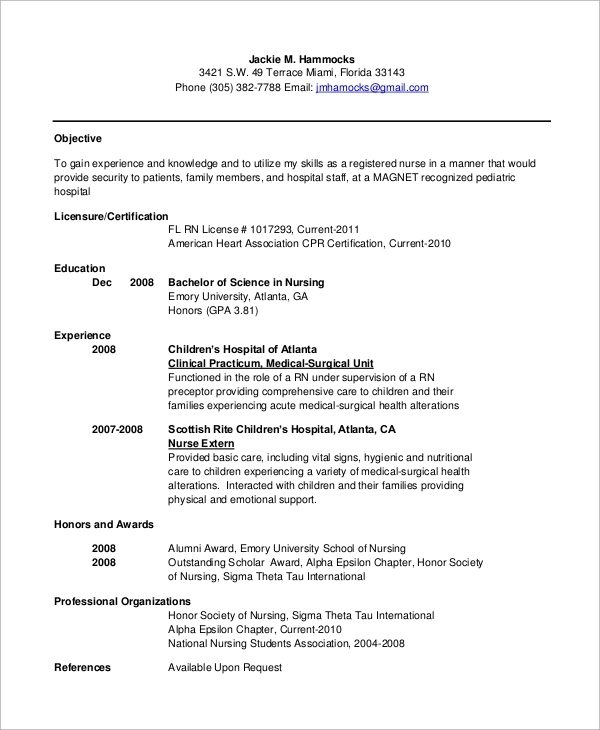 This is a Sample Resume for a Registered Nurse job. The design is captivating, and it begins with a personal statement followed by employment history and duties performed. Then it lists areas of expertise, academic qualifications, and references. 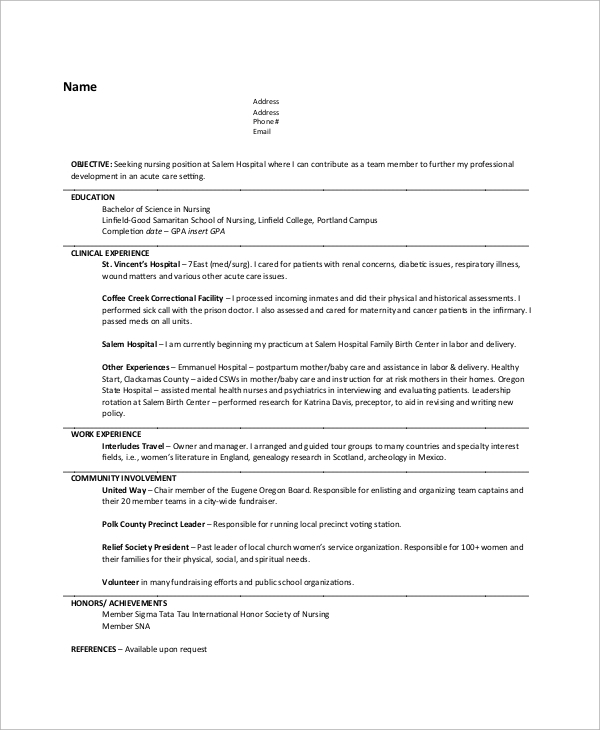 This is a clean format for writing a superb resume for staff nurse job. It is in tabular form and has provisions to write career objective, certifications, education, professional experience, clinic experience, awards and honors, professional activities and references. The targeted audiences for the Nursing Resume Samples are the nursing students who want to apply for a nursing internship program to get a firsthand experience. They are useful for nursing graduates who want to apply for relevant jobs to get their first job in life. They are also helpful for the experienced professional nurses who are willing to change their hospital or nursing homes to get better opportunities and salary. 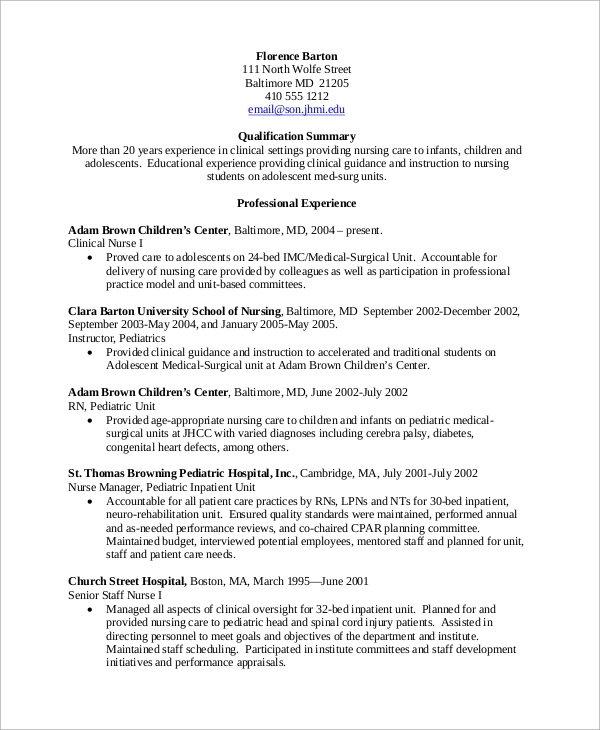 The above-listed Resume Samples cater to all sorts of nursing jobs such as registered nurse, a volunteer nurse, staff nurse, clinical nurse as well as hospice nurse job. 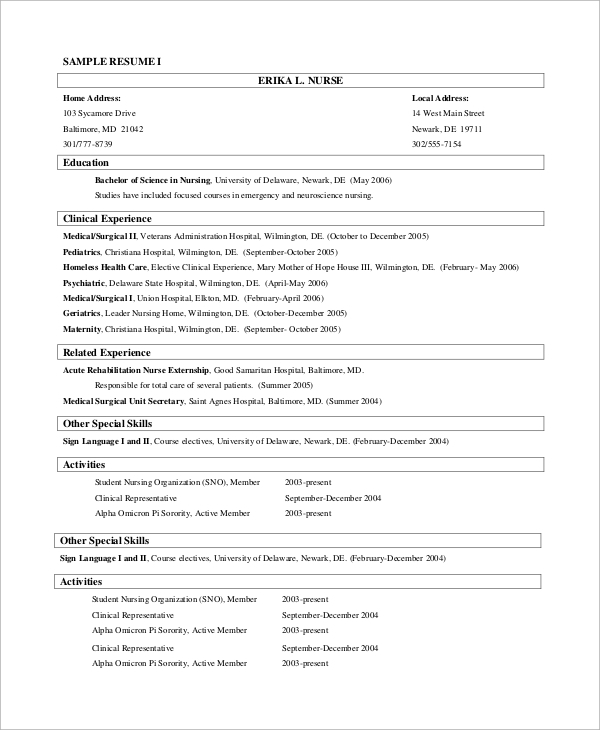 Nursing students who want to get their first job and even the professional nurses who want to switch hospitals can use them to form stunning resumes and list their qualities and skills effectively to impress the interviewer.